Welcome to the Home of M.K.F.N. This page is will be linked to all of the Social Media and hot links in words that have color boxes. Click on them to go to that section of the site. Since November of 2000 I been gathering vendors for parties. 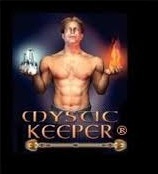 Clandestine Gardens® is also a part of Mystic Keeper™ We been doing weddings and funerals with floral ever since. We offer quite a menu for weddings or funerals. Besides flowers we also can marry you with on staff 2 Ordained Clergy Members Since June 29th 2004. We keep on staff wedding planners and coordinators. We do make simple wedding cakes and cater if you go to Package Deals with these services. It allows us to have more then one wedding going on to marry. If your into Balloon Twisting There is one on one teaching with videos or in person. We do offer balloon arches , balloon columns, premade figures but its very limited as a service. Mystic Keeper™ will twist for parties or decorate a area with balloons. Contact us for a quote. Schools, vets or handicap and low income families get discounts. Have you ever gotten a Tarot Card Reading? There is more then one reader listed with in this site, check it out! There is a dollar store inside & Online Mall that you can be a part of, Apply there too. I been a Crystal Therapist since 2004. I do made rosaries, prayer beads, dream catchers, landscape gardens and also been a Master Gardner since 2004. There is a Nursery where you can buy my plants!. If you like to apply here is the Application. We do list Fundraisers & Events Calendar on the website. If you have not seen the spider webbing service its a must see for Halloween.! !